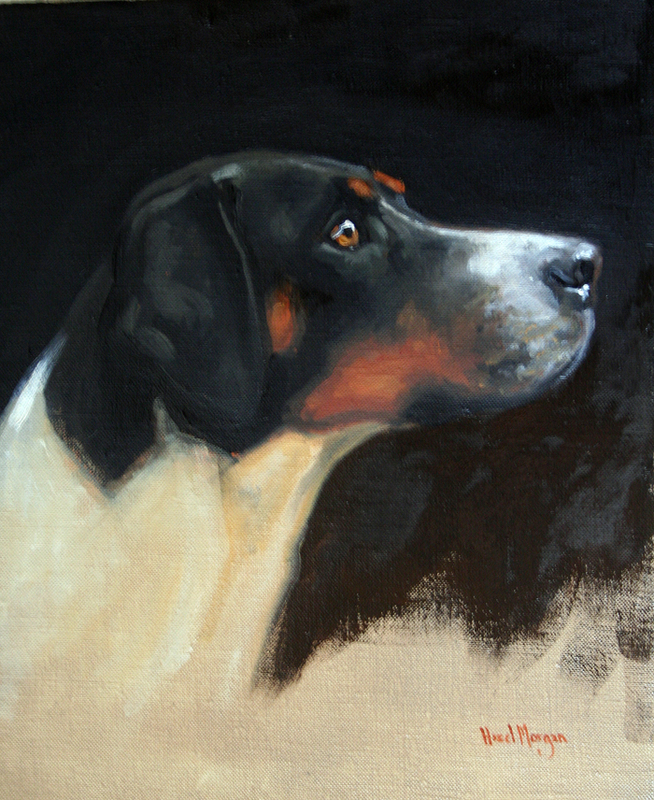 Study of a Wilton Hound, oil on canvas, by Hazel Morgan. Generously donated by the artist. Original oil on canvas, 36″ by 28″, by Michael Lyne. Generously donated by Mr. John Milward. 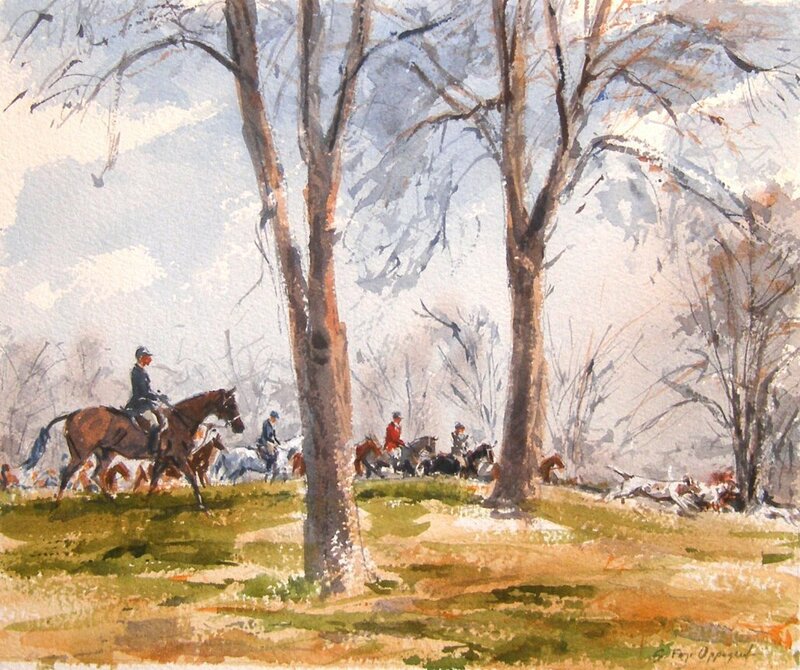 Hunt scene, watercolor, by Sandra Oppegard. Generously donated by the artist. 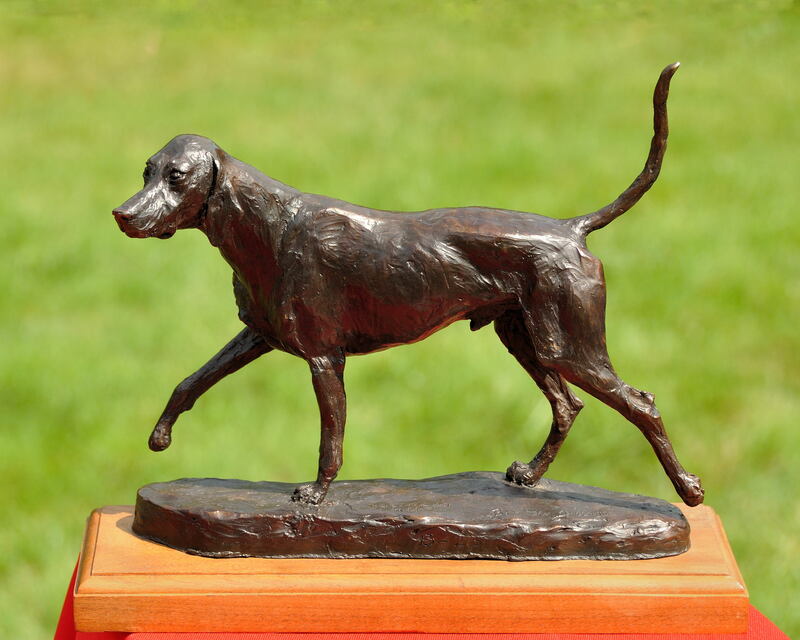 Casanova Kip, bronze, 12 inches by 9 inches, by Belinda Sillars. Limited edition, No. 13 of 25. Generously donated by the artist. 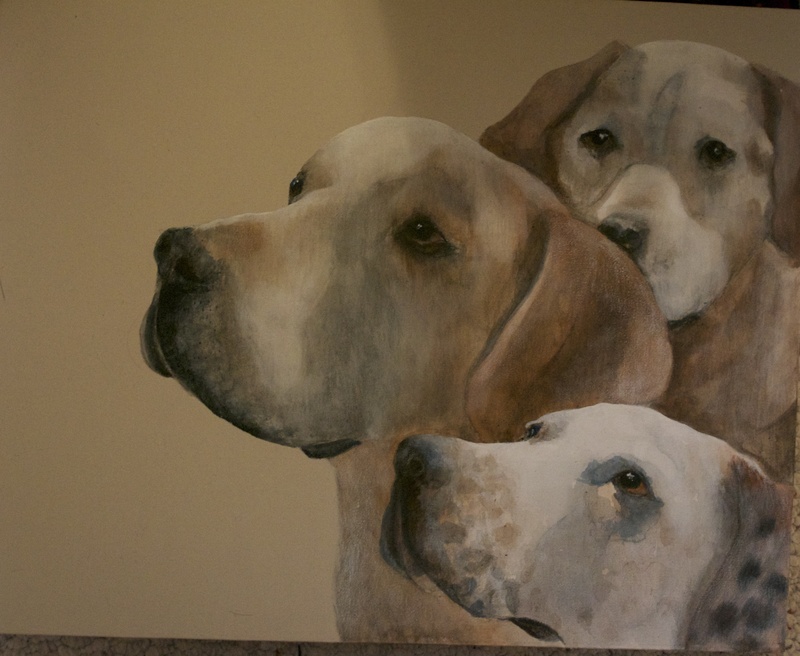 Study of Three Hounds original artwork, by Ena Lund. Generously donated by the artist. 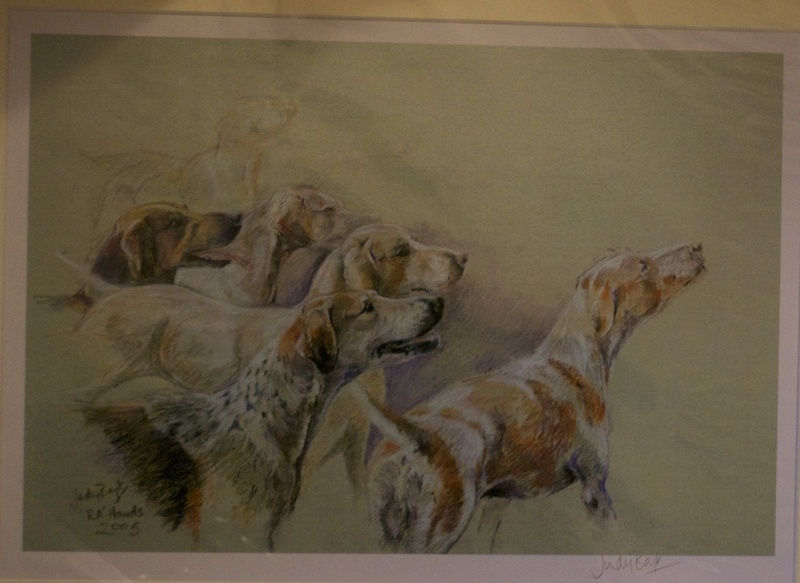 Royal Artillery Hounds, signed print, by Judy Boyt. Generously donated by the artist. 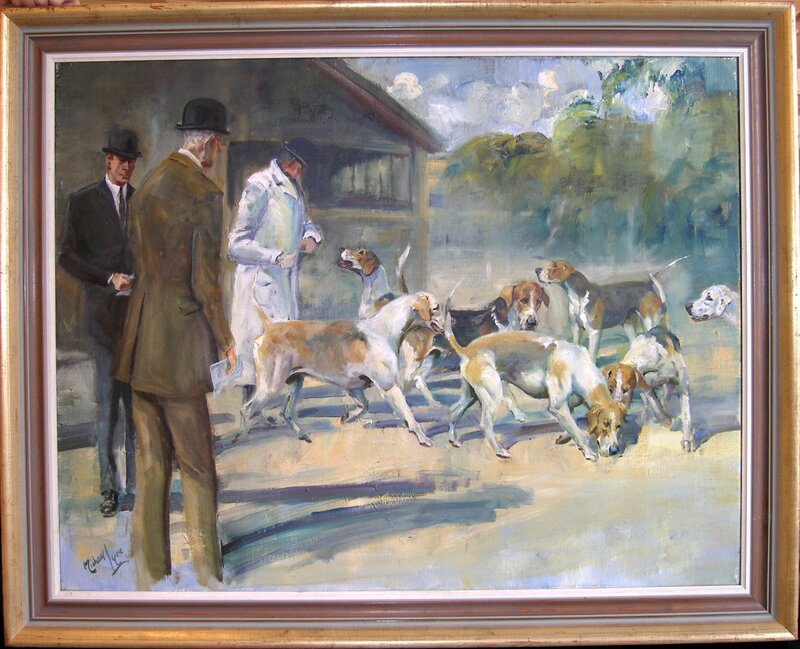 Where could I have a copy of Joan Wanklin’s ‘Guns at the Wood’ valued? It is in pristine, as- new condition. Still boxed. I would like to sell it. Please feel free to tell him that Glenye and Christopher Oakford sent you, and tell him hello for us! I hope this is helpful, and good luck. Thanks for stopping by the hound blog!